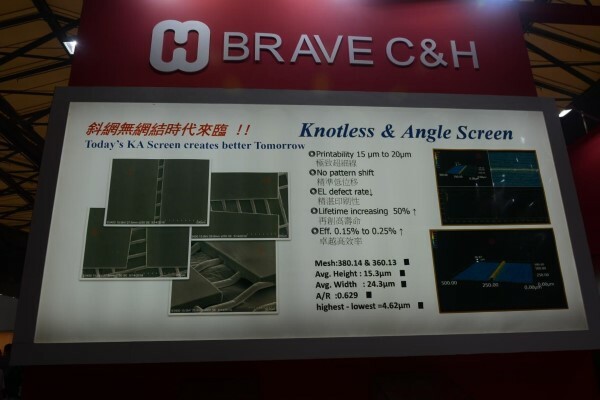 Brave C&H Supply, a high-precision screen printing supplier, displayed its innovative F9900 series at SNEC 2018, a breakthrough product which will herald a new era for solar screen printing, according to Chen Kan-Fu, the general manager of the company. Chen pointed out that the F9900 series embraces laser process and pioneers the application of PI material in screen printing. The PI material can meet the trend of thinner-line printing, thanks to its good performance and good match with various pastes, which makes it free from the problems of solvent resistance, corrosion, and swelling coefficient for stencils. The F9900 series consists of three kinds. 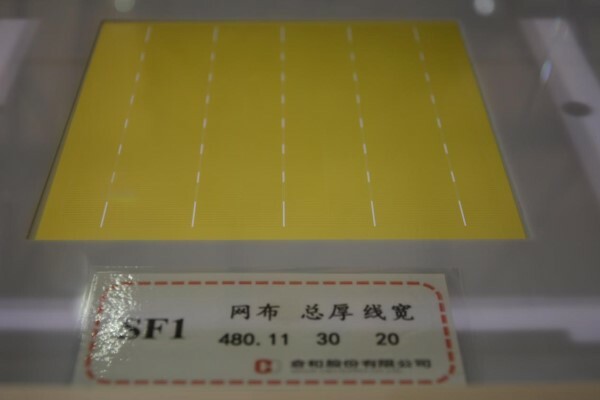 The first is the traditional angled-screen product SF1, which features high printing endurance and printing stability, making it capable of increasing the screen lifetime by 50-400%, which will significantly reduce costs for customers. The second is a knotless screen product which comes in three forms. It can be tailor-made according to customer needs, features high performance and printing stability, and comes with high aggregate benefits that enable customers to save aggregate cost for printing process significantly. The third is a cutting-edge, high value angled-screen knotless KA Screen which is capable of printing super-fine lines (15um~25um), and comes with greater conversion efficiency (0.15%-0.25%). The F9900 series, which has entered the mass-production stage, is undergoing various tests for certification and has been certified by a number of domestic customers. The series will focus on the Taiwanese market initially. 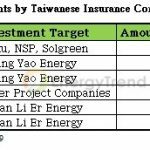 Chen’s aim is to increase its overall share in the domestic market. According to Chen, Brave C&H Supply will start marketing its F9900 series in mainland China in the second half, with the mass shipments of the product set to follow afterwards. 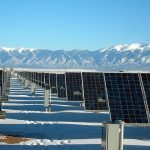 The testing results at some leading China PV firms have reportedly been satisfactory.